This is an is an invigorating and thought-provoking look into a world bursting with spiritual history and insight. The Spiritual Wisdom of India, Volume I by Lisbeth Ejlertsen is an insightful, inspiring, and informative look into one woman’s continuous journey to spiritual awareness and identity. Reading as something between a memoir and an informational text, the book follows Ejlertson’s various trips to India. She learns about Hinduism and the Upanishads, as well as about various philosophies and practices including yoga, Vedanta, and palm astrology. Through such lessons, she embarks on her own spiritual and philosophical quest. Balancing personal experience with an accumulation of research, the book is an enlightening guide and an obvious labor of love. The Spiritual Wisdom is based on an individual voyage, but it presents as a scholarly work. It successfully utilizes primary sources and the Vedas, the oldest scriptures in the world, as well as Ejlertsen’s insightful understandings of Sanskrit, to explore elements of Indian spirituality. However, the book has a tendency to make powerful claims—such as “It has been scientifically proven that some of these yogis are able to hold their breath … make their hearts stop and consume lethal poisons without … changing their physical well-being”—without citation. The citations that are present are generally unconventionally formatted and inconsistently used. The book is thoughtfully organized, and a detailed table of contents makes it approachable as an informative text. It can be read in its entirety or used as a reference to learn about any specific subject it covers. The style and tone are refreshingly self-aware; the process of writing is discussed throughout. Ejlertsen states that “this book chose me,” and multiple prefaces and postscripts that span almost twenty-five years indicate a work that has perpetually evolved. The impression given is that writing it was as illuminating for the author as the book will be for its audience. A genial, informal voice makes the text relatable. As intimate as it is educational, this book doubles as a spiritual guidebook and an informative text. It is sure to satisfy readers who are simply curious about India and its religions, as well as those who are searching for their own spiritual enlightenment. 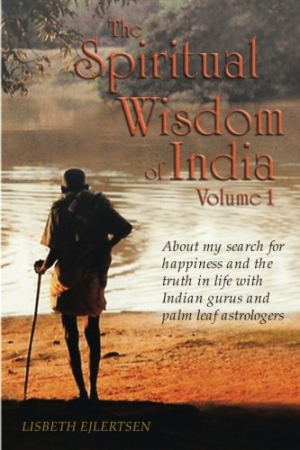 The Spiritual Wisdom of India, Volume I is an invigorating and thought-provoking look into a world bursting with spiritual history and insight.